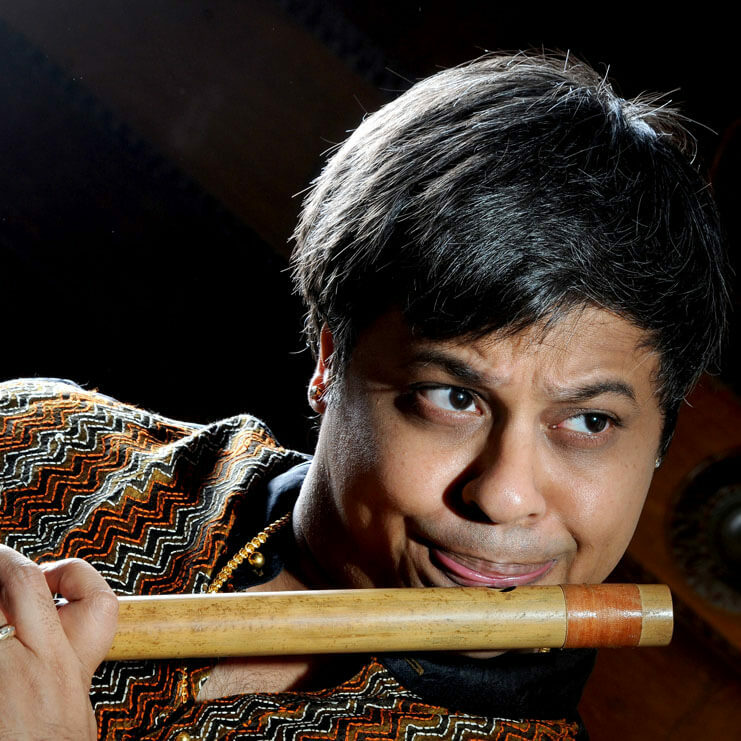 Maestro Shashank Subramanyam, a Grammy nominated exponent of the flute, began performing in 1984 at the age of six. With scintillating and primal tones, he truly sings through the most organic and ancient of all instruments — the bamboo flute. His logic-defying virtuosity is the result of a magical innate talent coupled with the best possible training. Trained by father Subramanyam and vocal maestros R.K. Srikantan, Palghat K.V. Narayanaswami and in Hindustani music under Pt. Jasraj, this child prodigy is considered one of the bestbamboo flute artists by the Indian and international media alike. In a successful career spanning more than 30 yearsin the field of Indian classical music, Shashank Subramanyam has performed in landmark concerts in almost every important city of the world. He has collaborated with many legendary musicians from India and around the world including guitarist John McLaughlin, Tabla maestro Zakir Hussain, Ustad Sultan Khan, Pt. Vishwa Mohan Bhatt, Pt. Ajoy Chakraborthy to name a few. Honoured with many awards and titles, Shashank Subramanyam is one of the youngest recipient of the ‘A Top’ ranking from All India Radio and TV and is an empanelled ICCR (Indian Council of Cultural Relations) artist.He has also received the titles ofKalaimamani from the Tamil Nadu government, Kuzhal Arasar from the prestigious Kellogg School of Management, Chicago.A very prolific artist, he has over 65 CDs and several DVDs to his credit.